From the producer of Jiro Dreams of Sushi and Chef’s Table, Prince of Smoke is the story of tobacco farmer and cigar maker, Hirochi Robaina, as he follows in his legendary grandfather’s footsteps and fights to preserve the 172-year old family legacy. This award-winning documentary short film has screened across the U.S. and in select festivals internationally. Directed by Matthew Gelb. Excellence can be defined as the state in which the whole transcends the sum of its parts. This concept is, in essence, what we aim to achieve. Utilizing time-honored techniques and principles refined through generations of producing Cuba’s most sought-after cigars, alongside key insights into the industry developed over years working at the forefront of both retail and manufacturer sides of the business, White Hat Cigars represents a unification of tradition and modernity. 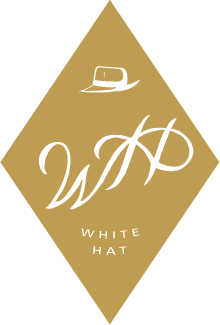 Utilizing time-honored techniques and principles refined through generations of producing Cuba’s most sought-after cigars, alongside key insights into the industry developed over years working at the forefront of both retail and manufacturer sides of the business, White Hat Distribution represents a unification of tradition and modernity. All HR Cigars are manufactured exclusively at La Corona Factory in Esteli, Nicaragua under the watchful eyes of Omar Gonzalez and his son, Luis Omar. With farms across Nicaragua and Ecuador, our tobacco is taken to our factory where all aspects of fermentation, aging, and manufacturing are done under a single roof. We possess a multitude of finely aged tobaccos, and we meticulously control each and every step of the process to ensure that no shortcuts are ever taken, and that the quality of our cigars will always be worthy of the Robaina name. Featuring hand selected wrappers and fillers of the highest quality Cuban seed tobacco. A distinctively rich, smooth and creamy cigar. Enjoy the flavor of Cuban heritage with Soneros. Utilizing a gorgeous Ecuadorian Habano wrapper, grown from Habano 2000 seed, over Nicaraguan binders and fillers from both Esteli and Jalapa; HR Signature is one of the most unique, complex, and balanced blends on the market. The HR Signature’s rich, savory profile has earned unanimous praise across the top publications in the industry. With an emphasis on nuance and finesse, the HR Claro is a medium-bodied cigar that utilizes an Ecuadorian Habano Claro wrapper. It features a smooth, creamy profile with notes of toast, nuts, and pepper that saturate the entirety of the palate. Further, as a nod to our Cuban roots, HR Claro is offered in a classic 109 (7.25X50) using original, authentic molds from Cuba. Our take on the powerhouse, the HR Blue is every bit as flavorful as it is strong. Using an Ecuadorian Habano Maduro wrapper over Nicaraguan binder and fillers, HR Blue envelops the palate from the first puff with a creamy mixture of milk chocolate, leather, espresso and rich earth. Spencer Drake: owner of White Hat Cigars. Spencer previously served as national sales manager of AJ Fernandez, vice president of Cubanacan, and more recently, national sales director of Cornelius & Anthony. Hirochi Robaina: the preeminent tobacco cultivator of Cuba. Hirochi is the grandson of the “Godfather of Tobacco”, Don Alejandro Robaina, and is the torchbearer of the Robaina legacy since Alejandro passed in 2010. Omar Gonzalez: former GM of one of Cuba’s oldest and most historic factories, La Corona, and nominee of the Hombre Habano award—the highest issued by Habanos, S.A..
Ut vulputate augue in erat vulputate, vel orci vulputate. Duis aute irure dolor in reprehenderit in voluptate velit esse cillum dolore eu fugiat nulla pariatur. Terkadang orang menjalankan sebuah usaha hanya. Duis aute irure dolor in reprehenderit in voluptate velit esse cillum dolore eu fugiat nulla pariatur.